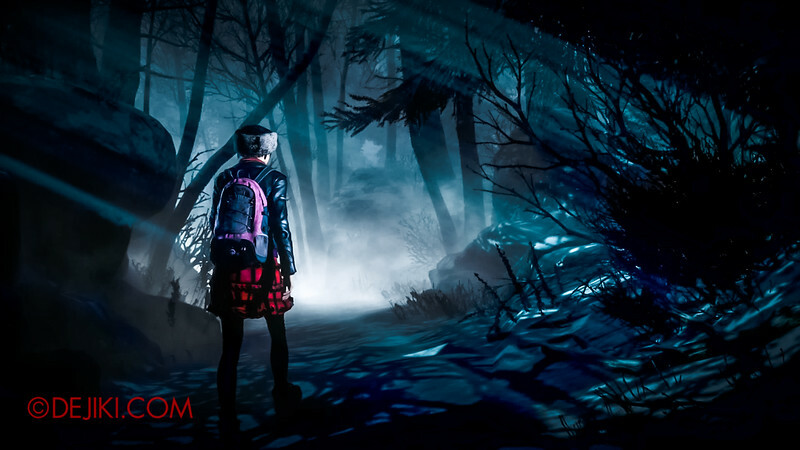 Decide who survives to see the light of day in Until Dawn, a Playstation 4 exclusive Interactive Horror game where decisions affect the story in the ‘Butterfly effect’ fashion. (with reference to chaos theory) the phenomenon whereby a minute localised change in a complex system can have large effects elsewhere. 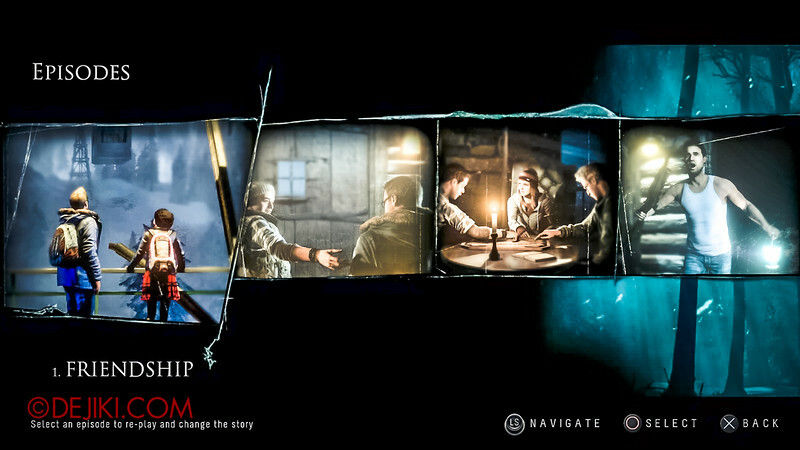 In Until Dawn, eight friends try to survive a night in a secluded mountain lodge, exactly a year after the disappearance of two other friends at the same place. Of course, that’s just asking for trouble. I had an opportunity to experience Until Dawn at a Playstation Preview event. Almost immediately, I was like “Wow. Must preorder. Now!” Since it’s still some weeks away to Halloween Horror Nights in Singapore, I’ll have to get my horror game fix. 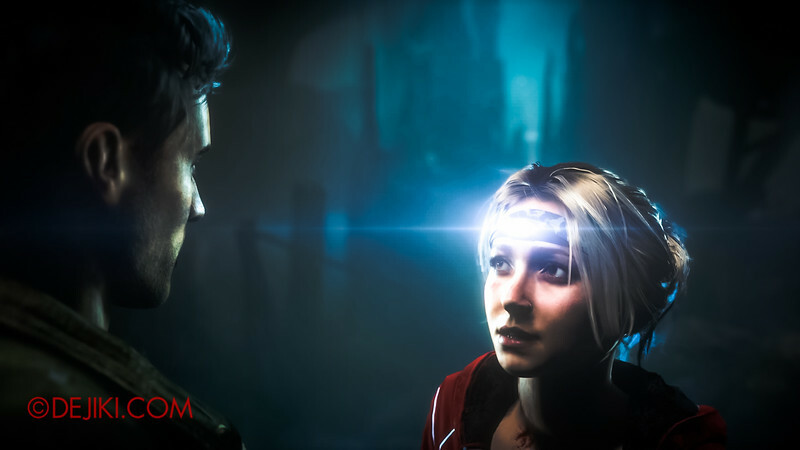 Some may know that Until Dawn was a PS3 title, and that it was supposed to be presented in a first-person perspective and make good use of the Playstation Move’s motion controls. 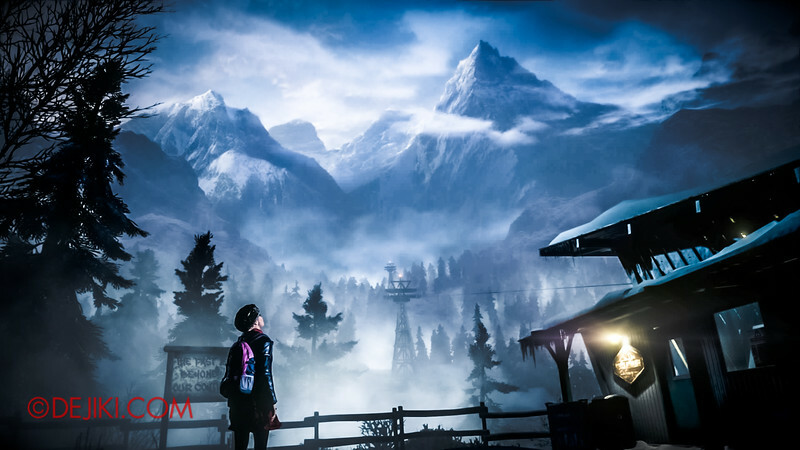 Until Dawn went on another path – a butterfly effect in its own way – and was eventually released on the PS4. Well-known talents, such as Hayden Panettiere, Peter Stormarem, Brett Dalton and Rami Malek, lent their image and voices to the game. Yep, they did the mo-cap and frankly – much of the 3D-modelling and animations were so well done, it felt like a ride down into the uncanny valley. While breathtaking, or haunting… at times, the visuals are paired with a gripping score by Jason Graves (Here’s a sample) and the usual tricks of sound in horror films. You bought a PS4 for a view like this, right? Well, if it’s the game’s awesome presentation, you won’t be disappointed. The core game mechanic is about making decisions, and you’re rushed into making hasty choices. But even the smallest choices may have a grave impact in the game, which is what the Butterfly effect concept is all about. Sometimes, there is a third way – not doing anything, but like in most horror films, it’s the fast lane to a bad end. 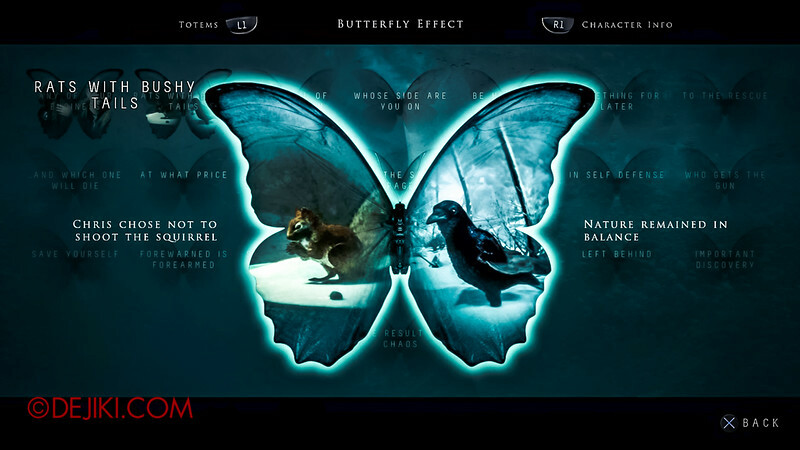 The game reveals each chain of cause and effect using butterflies. Not the most intuitive method, but it does keep players in suspense of the other choices. 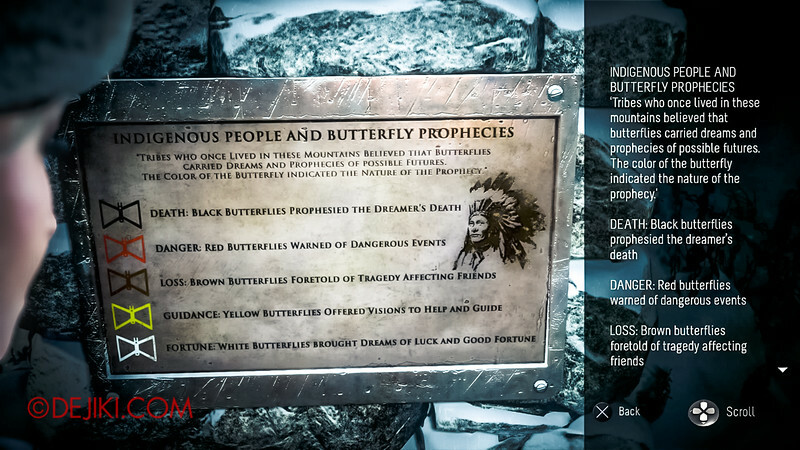 There are 21 ‘chains’ of Butterfly effects in the game, each with its own fork and branches. What happens if ‘Nature did not remain in balance’? Short answer: Karma. Long answer: It might sabotage someone’s escape later. Totems are collectible items scattered across the entire game. Each of them offer a vision of a possible future, often an outcome of a butterfly effect chain. It’s a mix between useful advice and red herrings, because some of the prophesied events just won’t happen because of choices made early in the game. One thing’s for sure, you’ll explore many places beyond the mountain lodge. 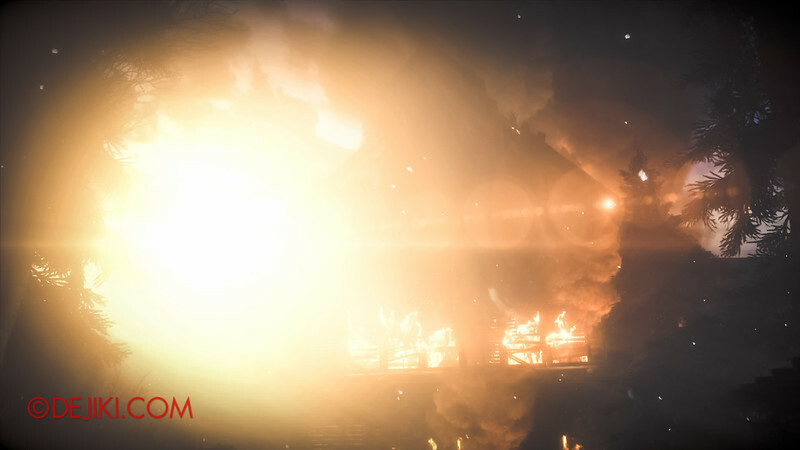 Perks of using an engine developed specifically for the platform (Killzone Shadow Fall engine): Atmospheric environments, made even more terrifying with dynamic light and shadow. So how did my Until Dawn game go? I must admit that I had to take several breaks throughout my playthrough, because the game experience was largely unsettling and very tense towards the end. You will be torn between “I can’t take this anymore” and “What is happening next? I can’t stop!” Those sneaky devs have included a fair bit of jumpscares, but don’t let that stop you from playing. 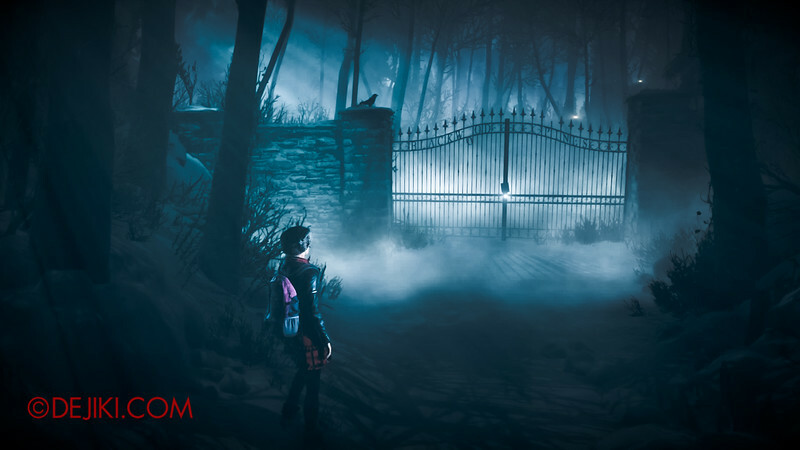 If you love horror films, especially the cliché ones, then this game is for you. Friends being tested, killer(s) on the loose, an ancient curse – Until Dawn has the full works. It’s an enjoyable experience with a great cast, with beautiful graphics and audio that makes good use of the PS4 processing prowess. 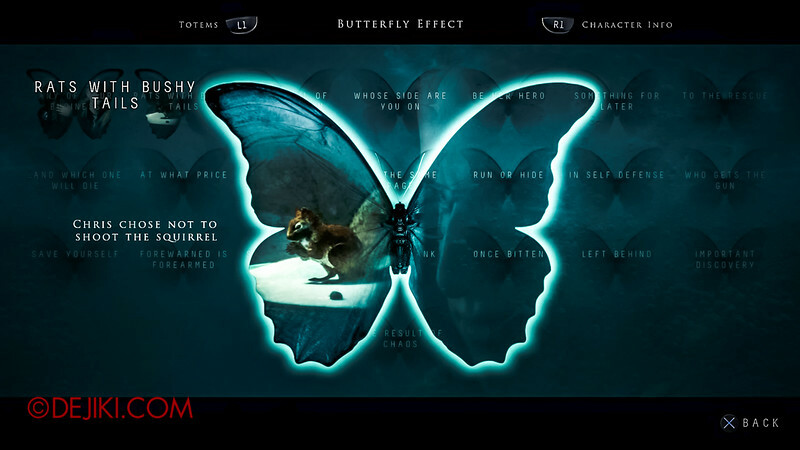 The ‘Butterfly Effect’ might’ve been oversold by marketing, because it wasn’t taken as far as I thought it should. This is coming from someone who has played through all the endings of Clock Tower (1995, NES). Some players have commented that much of the plot is kept regardless of choices – yes, that’s true. Many decisions do not matter as much as we would think. You can easily keep everyone alive until the last chapter and easily lose them all as well. Certain characters will survive to the last chapter no matter what. While the Butterfly Effect mechanic promises that the players could carve their unique storyline, the plot leads to the same ‘place’ in all possible scenarios, even if you fail to save anyone. The sun will rise, after all. Rather than thinking that the game has multiple endings, perhaps another way is to consider each character’s ‘ending’ separately. In my first blind Playthrough: All eight characters were alive as of the start of last chapter. However, things quickly turn dire with some bad choices. It’s near the end, so the developers spare no effort in devising quick-fail scenarios. I lost two characters, but thankfully I could replay from the last episode. And they all live! If you have a PS4: Buy! if you love horror games. Beg/borrow from a friend if you don’t like horror or the idea of running away from danger. Either way, this is a beautifully produced PS4 game that all gamers should experience. Totem visions show only a possible future. Keep rewatching, there are subtle clues hidden in those short clips. Being kind usually helps more than being honest. Examine every glowing object. Having just one more clue could save lives. Sometimes, you have to save yourself to save others. Always try to keep your friends alive, even when you are pressured to make a choice. Try to take breaks in between. It can be quite stressful to rush through the game. Often there’s a 0.5-1 seconds to spare for QTEs. Don’t panic! Unless you love the thrill of jumpscares, don’t sit too close to your screen. You can put your controller down for most of the ‘DON’T MOVE’ QTEs. Except for one. The game autosaves at each decision. Don’t bother fixing mistakes, just keep playing till the end! After completing the game, you can replay from any chapter. However, you cannot jump and skip chapters. The game remembers your choices from the original playthrough that made it to the end. This means you cannot select chapter 4, play through the entire chapter with new choices, then skip to chapter 8. The game would keep your choices from the first playthrough. If you want to play to Chapter 8 but with new choices in Chapter 4, you have to start from the earlier chapter and continue playing all the way. Choosing ‘New Story’ wipes your game save completely, removing the option to start from an episode. When in doubt, always pick the Resume option. 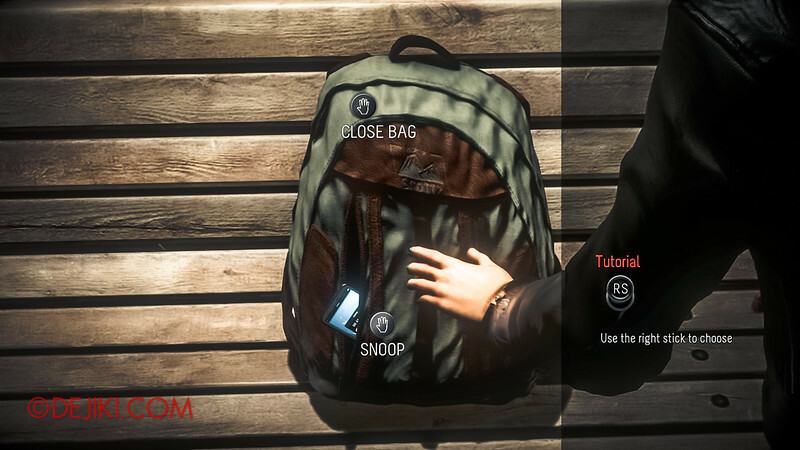 To start a New Game+ style playthrough, select the first episode and always ‘resume’ from then on. You can keep your collectibles. Is the game worth replaying? Yes, because it’s likely you’ll need to replay with different choices to collect all the clues and totem visions. Apart from being a completist, it’s the only way to unearth the truth of the past. 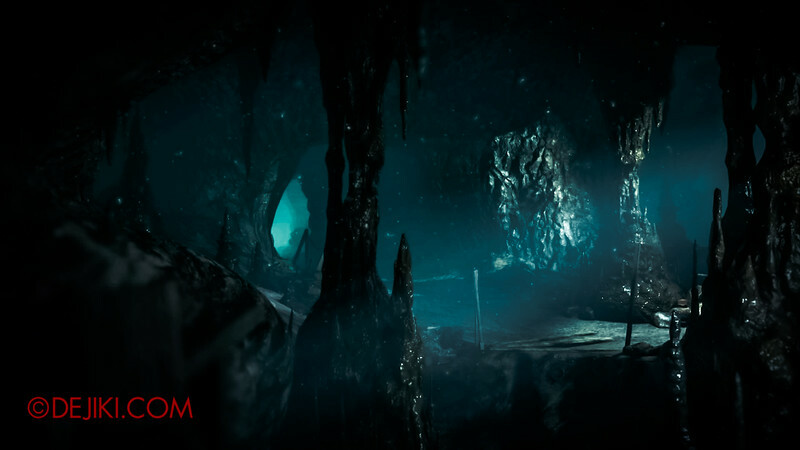 Until Dawn is a Playstation 4 exclusive title. 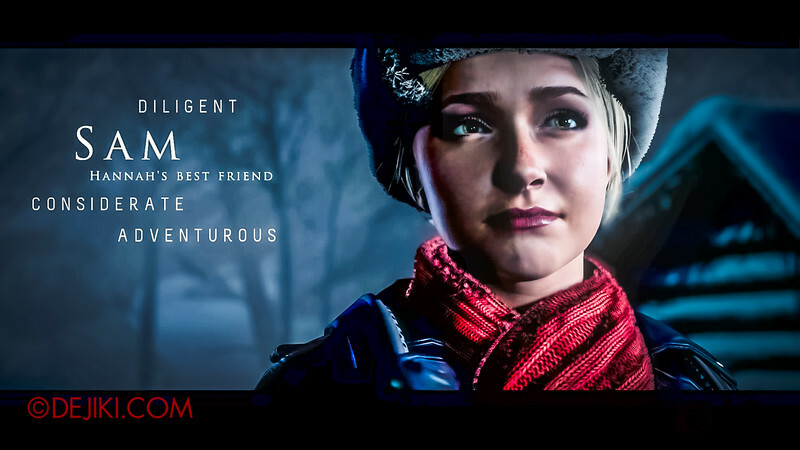 Depending on where you buy the game, your copy may include a code for a ‘bonus story’, which are short playable segments for Matt and Emily, two of the game’s characters. This is not a full chapter, and it does not affect much of the game experience. Note: Screenshots are captured off Until Dawn running on PS4 console, with slight colour adjustments. USS Park Updates, HHN Event Reports, Theme Parks and Attractions coverage will always be the core focus of Dejiki.com, don’t worry!